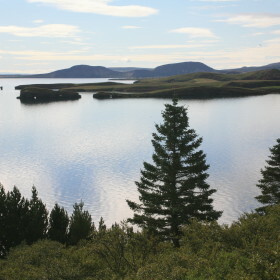 Lake Þingvallavatn is the biggest natural lake in Iceland. 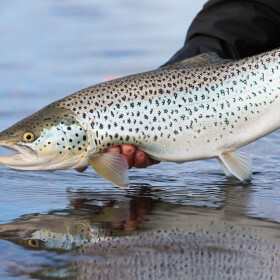 The brown trout is the most famous inhabitant of the lake but there are also four different types of char in the lake. 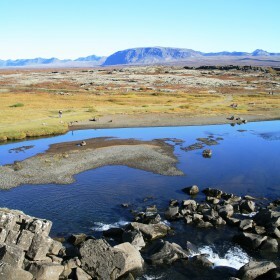 Þingvallavatn is a rift valley lake in southwestern Iceland. With a surface of 84 km². 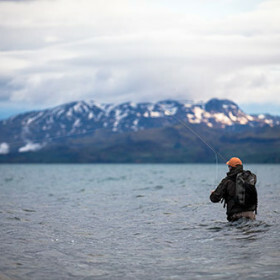 Its greatest depth is at 114 m. At the northern shore of the lake, at Þingvellir (after which the lake is named), the Alþingi, the national parliament, was founded in the year 930. 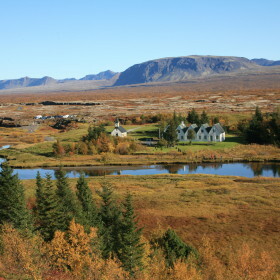 The lake lies partially within Þingvellir National Park. 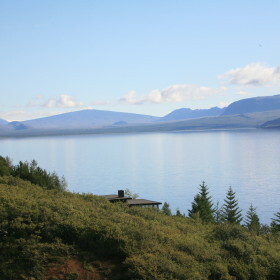 The volcanic origin of the islands in the lake is clearly visible. 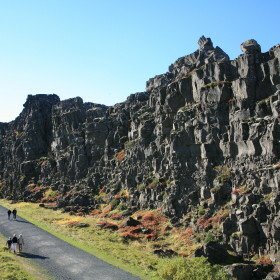 The cracks and faults around it, of which the famous Almannagjá canyon is the largest, is where the Eurasian and North American tectonic plates meet. 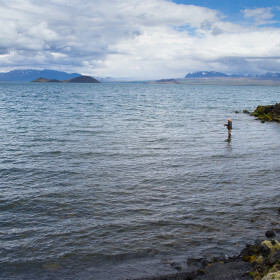 The only outflow from lake Þingvallavatn is the Sog River.